Available for pre-order now in the Irrational Games Store, this BioShock Infinite statue features Elizabeth in her iconic Burial at Sea noir outfit. Standing at 12” tall on a high-quality stand, all of Elizabeth’s details have been meticulously hand-painted, including a Bird cameo, a thimble plus hand-rolled cigarette in her right hand, and her classic noir, femme-fatale makeup. Each statue is individually numbered underneath the base, and comes packaged inside of a custom-made box, measuring 15” x 14” x 6”, created in-house at Irrational Games. Weight is 4 pounds, not a toy, and not intended for children. 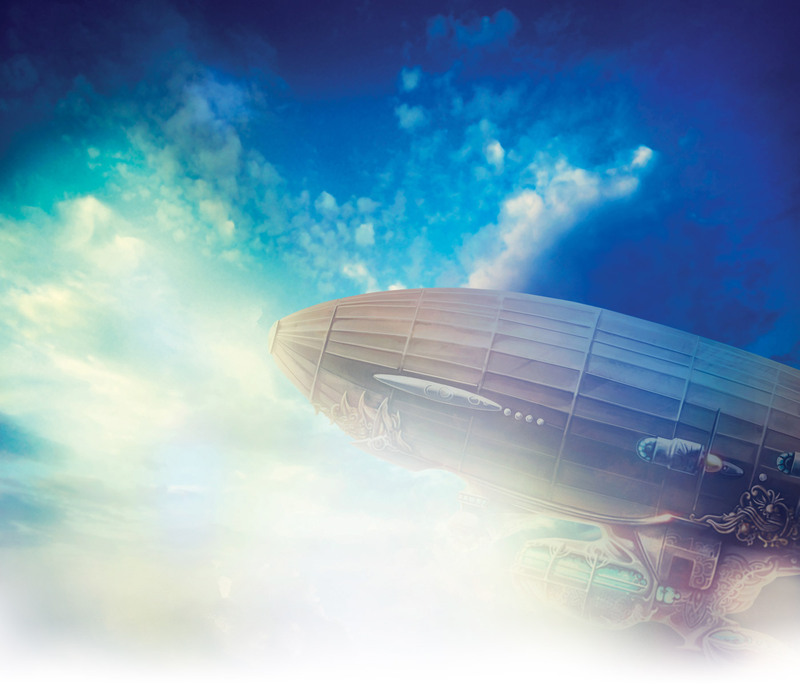 Limited to 400 total units, of which only 50 have been signed. Base and figure are separate pieces. Of the 400 total statues being produced, the first 50 statues have also been signed by Irrational Games’ Creative Director, Ken Levine, and includes a certificate of authenticity. 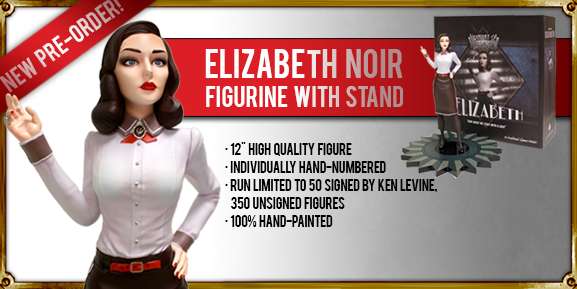 We anticipate these to ship by June at the latest, so pre-order your Elizabeth Noir Statue today!